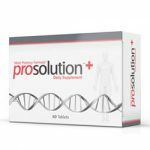 Trivasis Reviews (NEW 2019) - Does Trivasis Work? 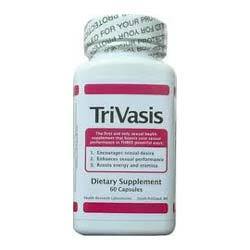 Trivasis is a male enhancement supplement that is manufactured by Health Research Labs. There is a manufacturer website but it does not feature this particular brand, so any information needs to be gleaned from the sites of retailers selling the product, which are very limited. Trivasis is designed to not only help in a man’s sexual performance but also provide overall energy, stamina and support the libido (sexual desire). 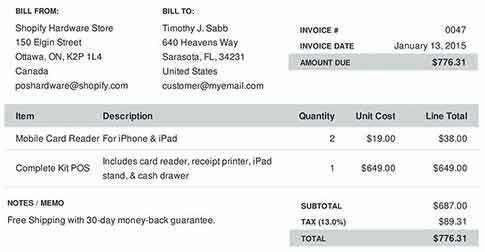 Unfortunately, there is no evidence shown in the form of clinical tests and no customer testimonials are available. No FAQ section is provided either and, although the formula is ‘all natural’ it is not known if it is safe for all men to use. Trivasis is available at a cost of $24.95 for a bottle of 60 capsules, but there does not seem to be any form of money back guarantee. The ingredients contained in Trivasis are all listed as is the complete product label. Apart from Niacin, all the ingredients are contained in a proprietary blend, so the individual amounts are not disclosed. The formula contains some commonly used substances that help to support energy and, more importantly, support the flow of blood to the penile chambers during an erection. The key elements in the blend are L-Arginine, Horny Goat Weed, Ginkgo Biloba, Yohimbe and MuiraPuama. What are the Benefits of Trivasis? What are the Drawbacks of Trivasis? Trivasis does contain some beneficial ingredients, but it would be helpful to know how much of each was in the formula to be able to judge its potency. It is strange that the product is not featured on the official company website, and the manufacturer should really provide more details about the product if they want their brand to be fully recommended.